What mother does not dream of being more organized? 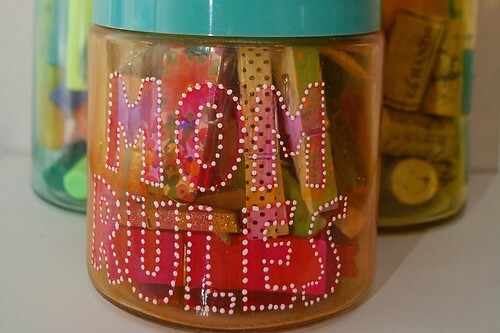 You may not be able to give her color coordinated sock drawers and perfectly sorted craft paper. 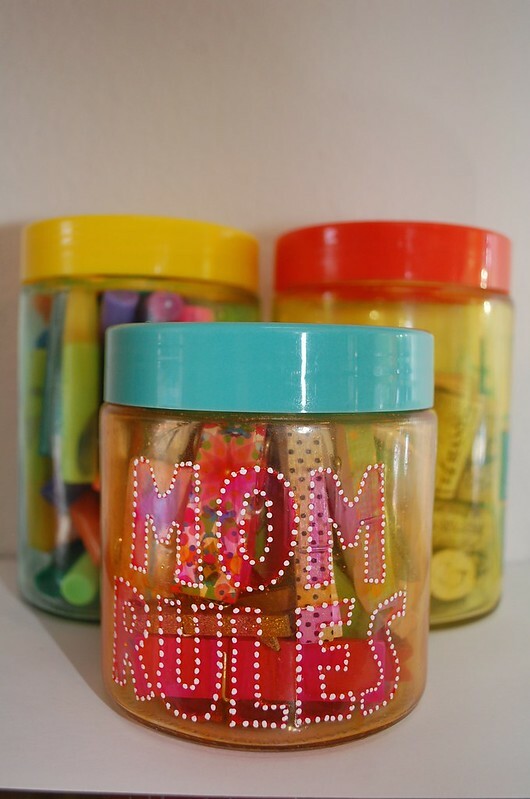 You can however give her cute desk top containers to help her corral a little of the chaos in style. 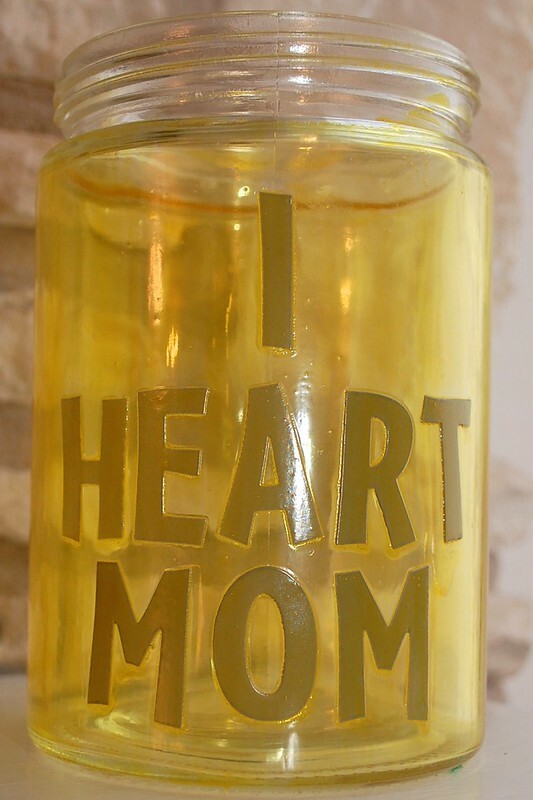 Let mom know she is loved with this fun and easy stained glass technique. 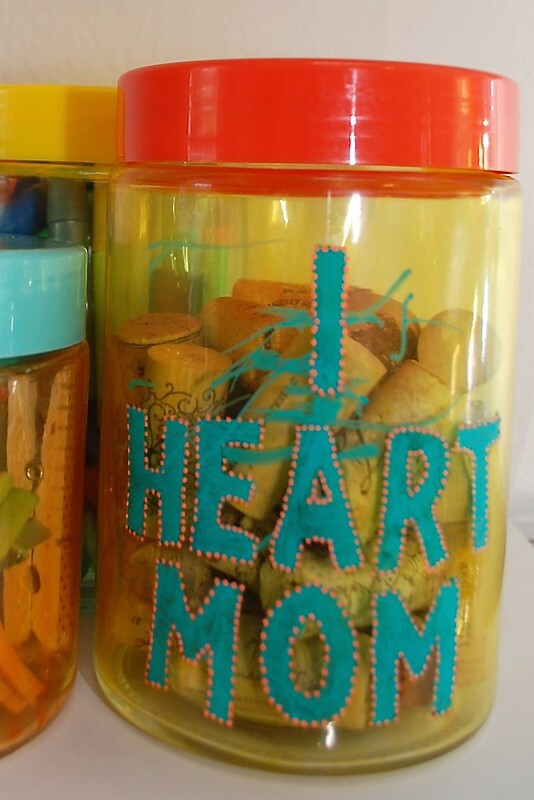 Apply your stencil masks to your jar. You can write out anything you want. Mix Tacky Glue, food coloring a little bit of water. Stir well. 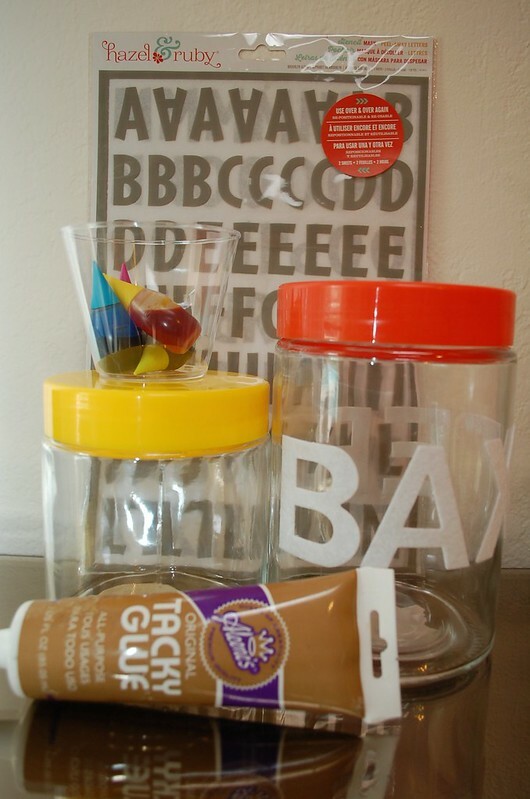 Paint over your entire jar with the dyed glue. 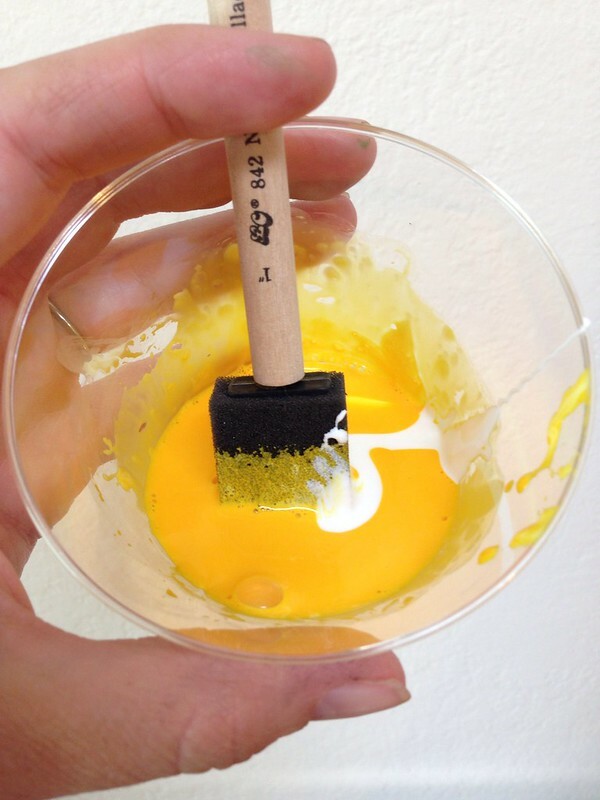 Here are three tips to remember: be sure you get dyed glue in all the crevices (not too much you don't want it to pool and drip), avoid brush marks and try for even paint distribution. 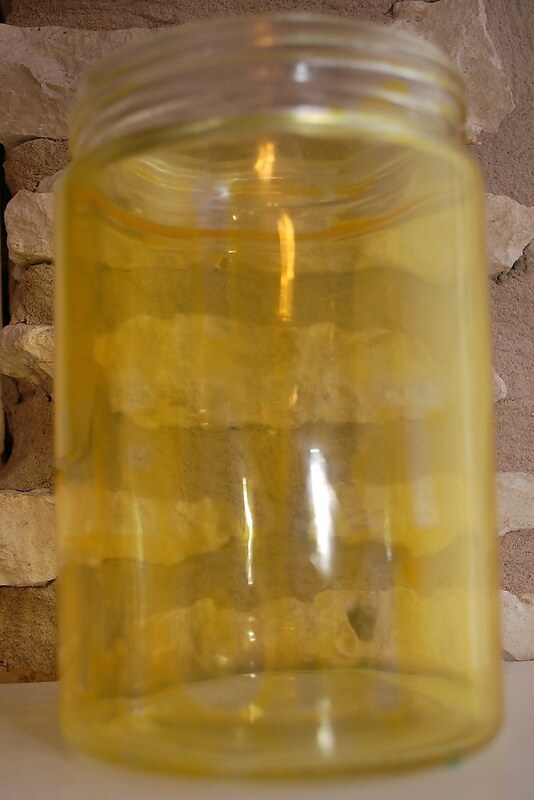 Allow to dry at least 24 hours if not longer. When everything is dry peel away your letters. If your glue/dye mixture was really light you will not be able to see your message at this point. 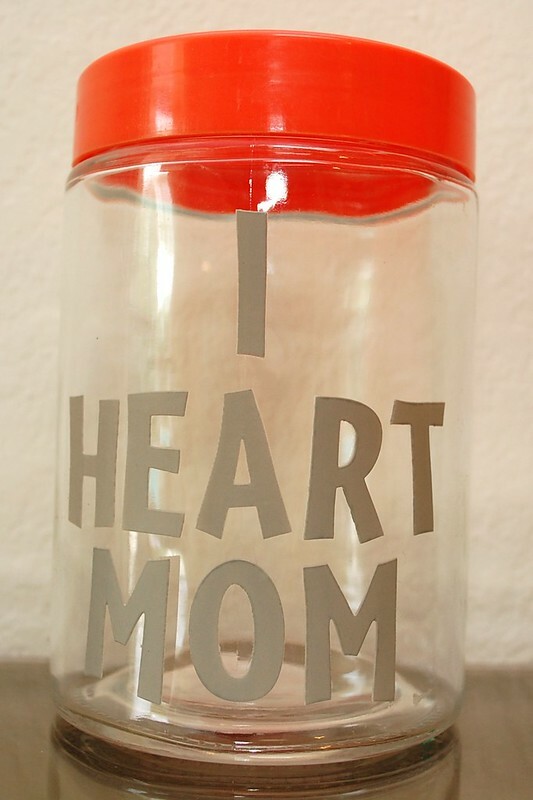 Fill in the lettering with gel pens and presto, mom is one happy camper!